With more than 3,100 statues, memorials and monuments, you’d think Washington would be filled with sports figures cast in bronze. Nationals Park has Josh Gibson, Frank Howard and Walter Johnson as gigantic, odd-looking statues beyond the left field bleachers that don’t look like the real people. There are monuments to the late Redskins owner George Preston Marshall and Senators owner Clarke Griffith in front of RFK Stadium. Otherwise, none of my fellow sports writers can remember a sports statue around town. Surely one should be erected of Abe Pollin, whose Verizon Center spurred the revitalization of Chinatown amid his Wizards and Capitals. Sammy Baugh should have one whenever the Redskins return to Washington. Sugar Ray Leonard might merit one, also. For now, you’ll have to settle for Full Count in the courtyard of the Federal Reserve Bank at 19th and Virginia Ave. N.W. 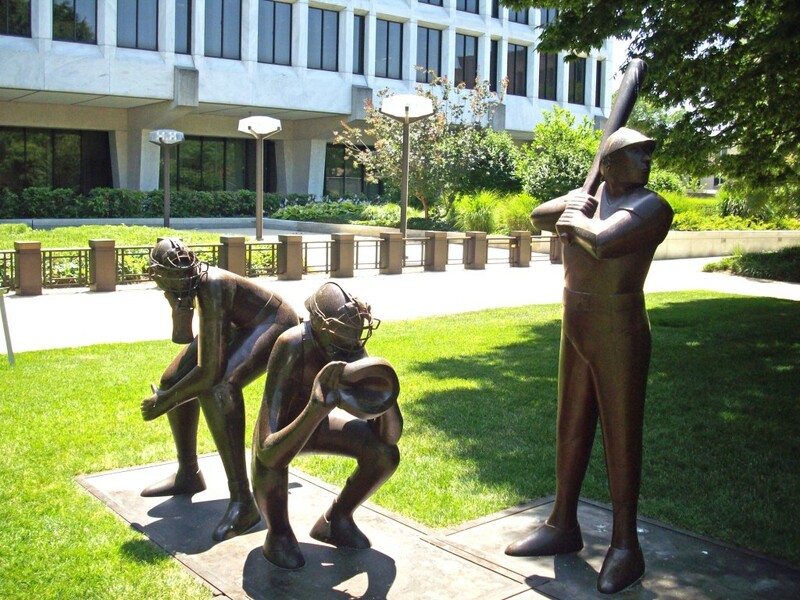 Sculptor John Dreyfuss spent eight years working on the bronze creation of a hitter, catcher and umpire at the plate awaiting a pitcher who is the correct 60 feet, 6 inches away. On his website, Dreyfuss says, “In defining this moment in the game, I have been inspired by the paintings of Thomas Eakins’s Civil War baseball players, Andy Warhol’s icons of Tom Seaver, and countless 19th-century folk works. But it is in the study of the great masters, such as Pre-Columbian sculptures of ball players, Pablo Picasso’s bullfighters, and Degas’ jockeys that one understands the games we play define who we are as a people. 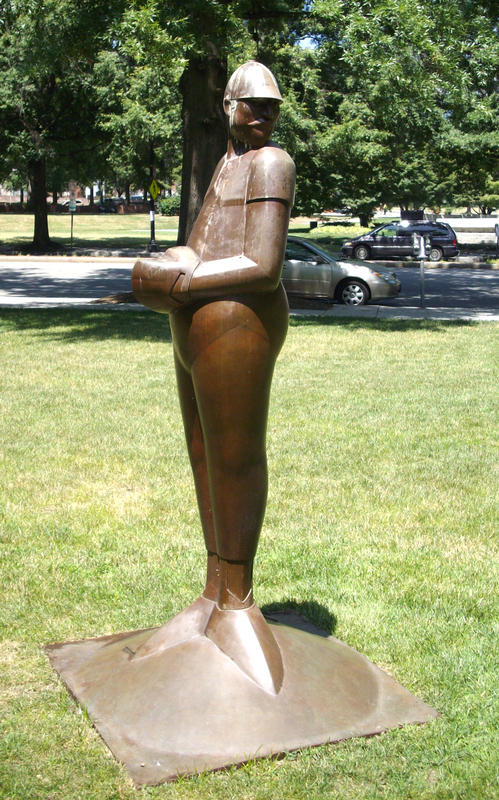 This entry was posted in Monuments and Statues and tagged baseball statue, best DC walking tours, Federal Reserve Bank, Full Count, John Dreyfuss, Photos by Rick Snider, Washington D.C.. Bookmark the permalink.